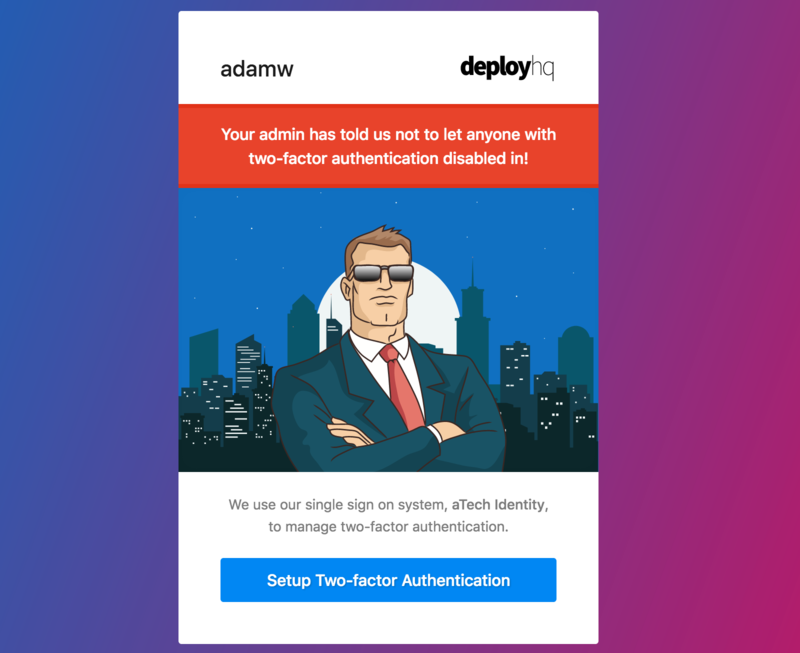 We're pleased to announce the release of a new security-related feature to DeployHQ today - the ability for account administrators to monitor, and enforce Two factor authentication (2FA) for all users in their account. 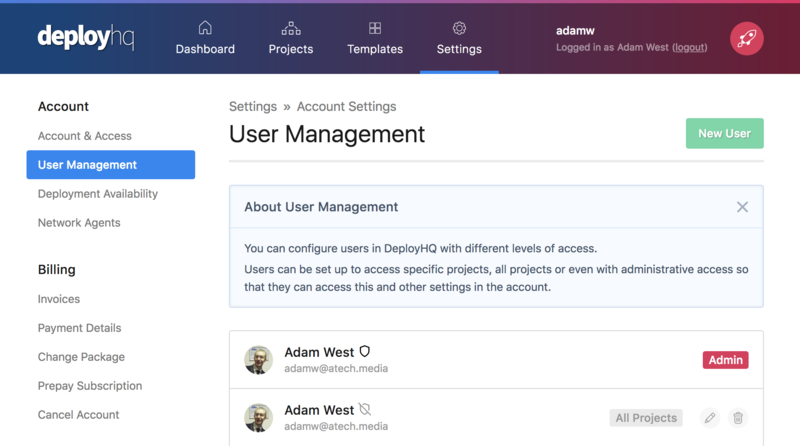 When administrators visit their User Management area within Settings, they'll now see a flag next to each user showing if 2FA has been enabled. 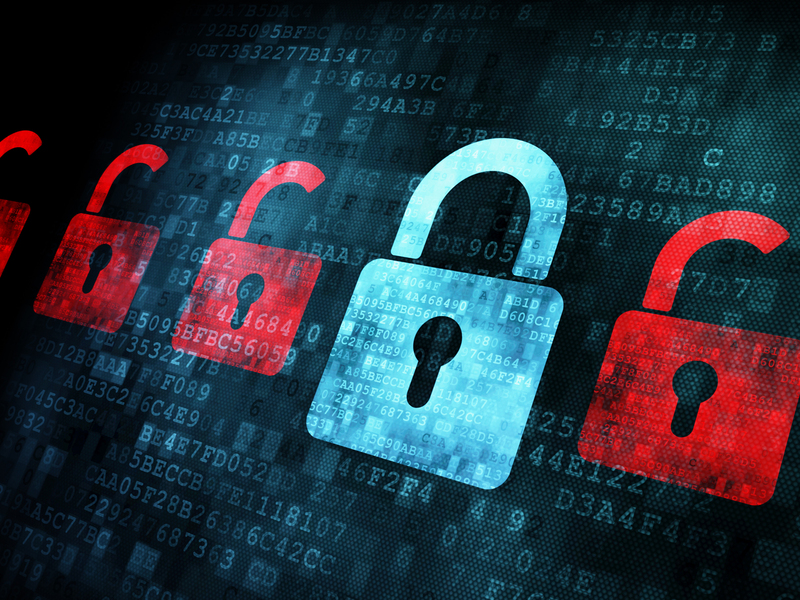 Users with 2FA enabled will be marked with a shield icon, and without, a shield icon with a strikethrough. By default, 2FA is not enforced on DeployHQ accounts but it can be enabled easily by navigating to Settings -> Account & Access in DeployHQ, then enabling the option at the bottom of the page. Once this has been done, any users that login without 2FA enabled will be prompted to set it up through our single sign on service, aTech Identity.